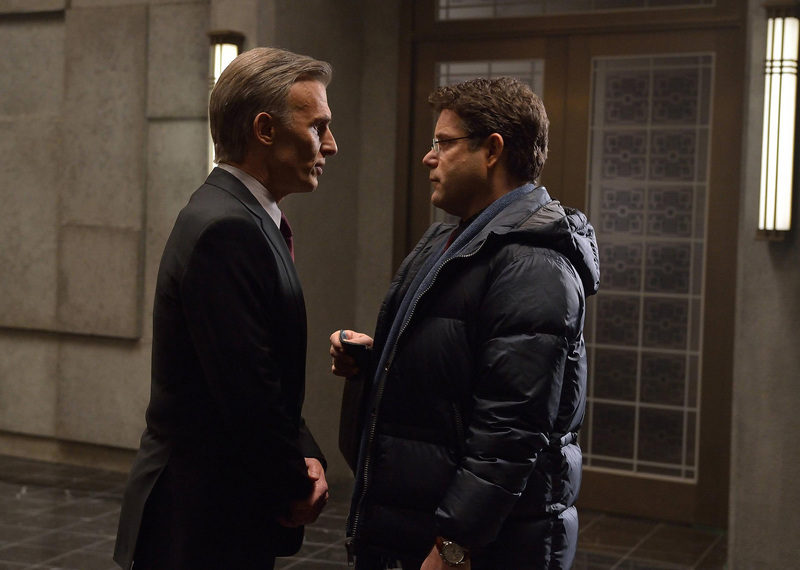 The Strain – “Gone Smooth” Review: Where is the fun? Three episodes into The Strain’s run and I’m still finding it difficult to connect to anything the series has done. It’s become impossible to get past the show’s thinly drawn characters, familiar narrative and disappointing performances. In defense of the show, perhaps there were some unrealistic expectations drawn in its anticipation. With such impressive creative powers helming the show, primarily Guillermo del Toro and Carlton Cuse, we were quick to assume that the series would be a critical success right off the bat. Plus, FX has had an excellent track record with its original programming lately. The network has had particular success in programs that take on familiar genres and present them in innovative ways: The Americans is an effective spy drama/family drama mash up; Justified is a great modern western; and Fargo is an unexpectedly wonderful reimagining of a film classic. So when The Strain was announced to join the FX family we looked forward to a series in the vein of the networks more prestige-y shows like the ones mentioned beforehand: a gritty, darkly disturbing take on the increasingly widespread vampire genre with a focus on engaging character stories. Instead we got the American Horror Story version of a vampire plague show. Better yet, the American Horror Story: Coven version. The more I think about it, I find myself comparing The Strain to the Ryan Murphy series more and more. They are shows that share similar failures in terms of story and characters. However, while AHS: Coven is undoubtedly the messiest, most incoherent and ridiculous season of that franchise, it somehow prevailed as an enjoyable mess. Yes, the narrative was exploitative and derivative and the characters were shallow clichés but the capable cast was able to overcome some of the questionable material (I am still not over Angela Bassett’s scene stealing, scenery-chewy performance, she delivered) and while the story construction was an utter disaster, the AHS writers had a knack for coming up with some of the most sublime lines of dialogue. Most importantly, the performers and writers were completely aware of the type of show they were creating. One could tell they were all having fun with the absurdity of the series, embracing the camp elements and deploying the insane story with a great sense of humor. It was this approach that made the series incredibly fun; sure it was trashy and superficial, but fun nonetheless. I haven’t found the ‘fun’ in The Strain and am quickly losing my patience for it. It is increasingly frustrating because expectations were so high for the show and it just turned out to be, through no fault of the creators, something other than what we hoped it would be. However, even after adjusting the way to approach the series and letting go of the preconceived notions, the show has yet to assert itself in a favorable way. There is an overbearing sense of seriousness surrounding the narrative that inhibits any kind of real enjoyment to be had. The writers seem to be taking the show too seriously; they are working so hard to deliver a harrowing, intense experience that other factors of the show are completely dismissed. Thus we get horribly painful, generic dialogue, which then makes for some excruciatingly wooden performances, and the narrative isn’t that interesting to begin with. 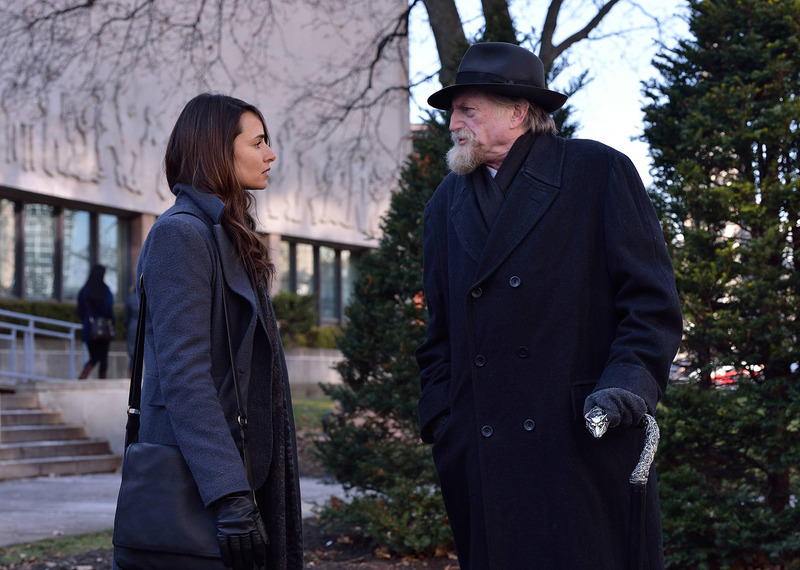 Yet it is still early on in The Strain’s run and the latest episode, “Gone Smooth” had a few glimmers of hope strewn throughout the hour; unfortunately I can count those moments with one hand. The narrative is a slowly unfolding, meandering endeavor, which just goes against the sense of urgency we are supposed to feel. Isn’t there a huge, humanity-threatening crisis unfolding? Why do we have an excruciatingly long and dull and annoying scene involving Eph’s ex-wife and son that goes absolutely nowhere? Despite some important developments here and there, the hour is just dull and uneventful. But lets focus on those few actually successful moments, shall we? The cold open was a very nice way to begin the hour, showing Thomas’ morning beauty routine. It was a great little surprising moment, when we see that the nose-less vampire is actually the creepy dude we’ve been seeing all this time, plus it was a visually engaging sequence. Regina King once again comes in for a measly scene and comes away with the best performance in the episode. She is great and so far the only actor who has imbued their character with a personality. Yes she is another walking cliché, but she has attitude and makes the tired dialogue sound natural and unforced. If only they made her a more prominent figure. The show is still pulling off fantastic gross-out moments, those sub-dermal wormy thingies will forever creep me out. And the scene with the dude drinking the meat juice was incredibly effective, in fact that entire scene was quite successful with him realizing his wife saw him and then nonchalantly making his way up the stairs. Creepy. Perhaps the most promising scene of the episode was Bolivar’s meeting with the doctor. It was a quick little scene but finally the writers welcomed the campy, comic elements of the story and had an actual sense of humor. The quick banter was funny and it was well acted. This is the direction the show should probably go in, addressing how over the top and absurd the story is with a little humour while at the same time doing some seriously disturbing stuff. What did you think of “Gone Smooth”?